Damn it feels good to be a Gankstar! Fortnite is nothing short of a cultural phenomenon and we're happy to be a part of it! Last month we announced a European Fortnite team. Those guys were solid; however, as a North American organization, we thought it best to find a North American team for this game. 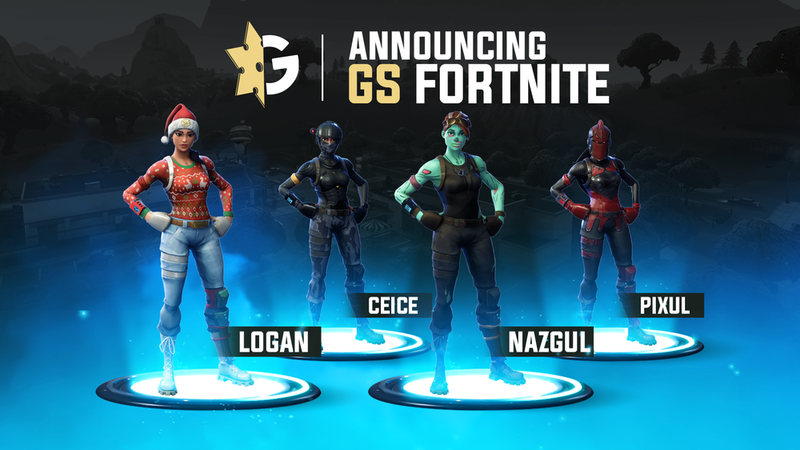 Please help us welcome GS Ceice, GS Nazgul, GS Logan, and GS Pixul! We are flying all 4 of them to Las Vegas this weekend to challenge Ninja the GOAT himself at Esports Arena's $50K event! You can buy spectator passes here. The livestream starts at 5pm Pacific at twitch.tv/esportsarena. Love Fortnite? With two new editors coming to GS, you should subscribe to our Youtube channel for incoming awesome Fortnite content!